The Chernobyl disaster resulted in the creation of a 30km exclusion zone, a specially trained police force that is excluded from regular civic rule, and cities that have been deserted and left to be reclaimed by nature. It was the worst nuclear accident in the world – that is, until the Japanese tsunami struck Fukushima. According to the Japanese government, the accident has unleashed 168 Hiroshima bombs’ worth of radioactive material, making it the area around Fukushima more dangerous than safety standards set for the areas around Chernobyl. This week the Japanese government released a map that shows the most badly affected 34 locales surrounding Fukushima. 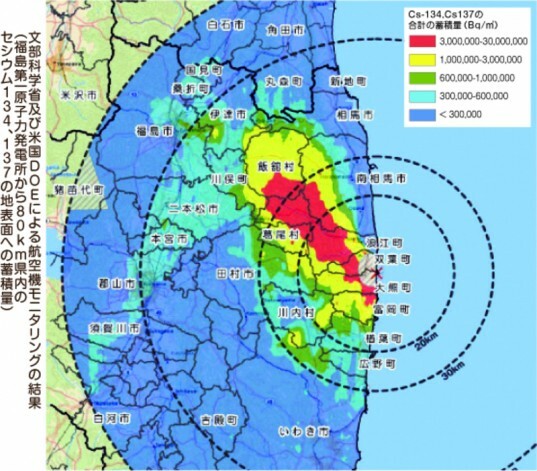 Radiation measurements conducted by the Ministry of Education, Culture, Sports, Science and Technology found deadly levels of cesium-137, which were in excess of 1.48 million becquerels per square meter. This substance is so dangerous that it has rendered these areas completely uninhabitable. 1.48 million becquerels is a crucial amount, as it was the threshold for mandatory evacuation after the Chernobyl disaster. After Japan’s tsunami and nuclear crisis, this level of radiation was found in the municipalities of Okuma, Minamisoma, Tomioka, Futaba, Namie, and Iitate, making it impossible for any civilians to live there. Of course, radiation levels are highest around Fukushima, which has been deserted since the disaster. 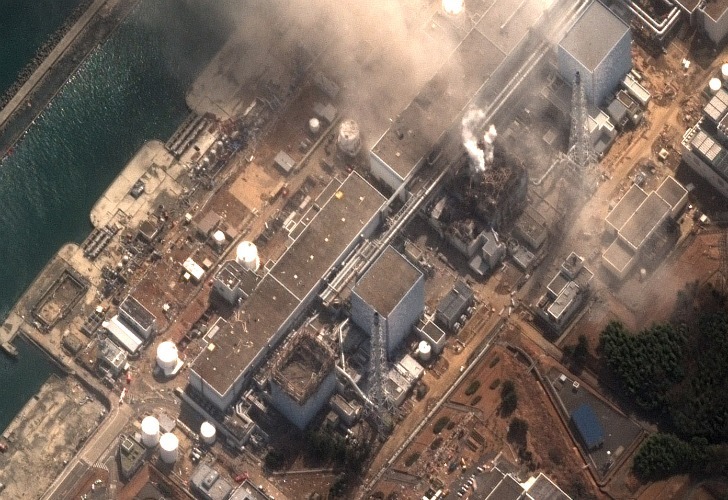 As a result, Fukushima’s radioactive contamination is worse than Chernobyl’s. Considering that the area around Chernobyl has been deserted since 1986, we can expect to see Fukushima quarantined for even longer. The Japanese made the same mistake as the Russians...they waited too long to ask for help. The Chernobyl disaster resulted in the creation of a 30km exclusion zone, a specially trained police force that is excluded from regular civic rule, and cities that have been deserted and left to be reclaimed by nature. It was the worst nuclear accident in the world - that is, until the Japanese tsunami struck Fukushima. According to the Japanese government, the accident has unleashed 168 Hiroshima bombs' worth of radioactive material, making it the area around Fukushima more dangerous than safety standards set for the areas around Chernobyl.